As a Isocom Components distributor, NAC offers industry standard optocouplers, optoswitches, and solid state relays (photo MOSFET) with some of the shortest manufacturing lead times in the world. 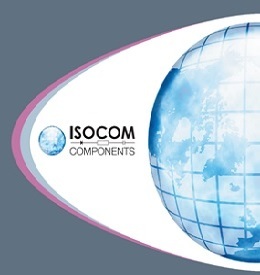 Isocom Components is a leading manufacturer of high performance infrared optoelectronic devices specialising in optocouplers and optoswitches. Since the business was established over 25 years ago they have consistently delivered in excess of customer's expectations to become one of the most respected brands in the worldwide optoelectronic industry.